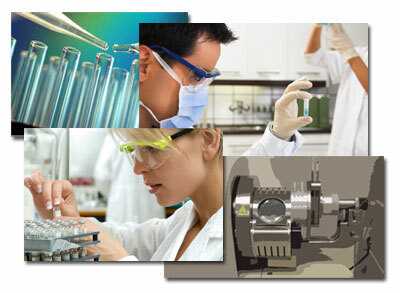 Millennium Research Laboratories (MRL), Inc. provides a wide range of analytical and testing services. We can perform cGMP compliant analyses using a variety of analytical techniques including FT-IR, NMR, SEM/EDXA, DSC, GC, LC, HPLC and Direct Probe MS.
Millennium Research Laboratories (MRL), Inc. was founded in 2002 by a founding group that possess decades of combined experience in the fields of polymer science, advanced materials, drug discovery, and development. MRL's facility is located in Woburn, MA. MRL offers a wide spectrum of services and expertise in scientific, professional, technical, manufacturing, quality control, and regulatory fields. Our services include formulation development, drug delivery design, analytical methods development, validation, and drug stability assessment among other tasks.